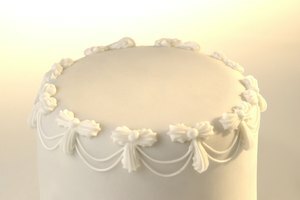 Gumpaste and fondant are two types of edible molding materials used to create decoration for cakes and other desserts. 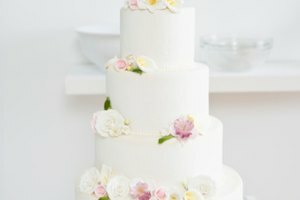 The main difference is that fondant is meant to be eaten while gumpaste, though technically edible, has a less pleasant flavor. 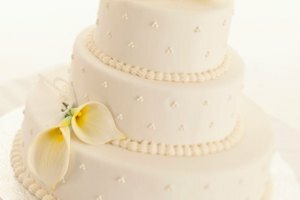 Unfortunately, fondant doesn't hold its shape as well as gumpaste so if you need a durable and hard-finishing material gumpaste is ideal. 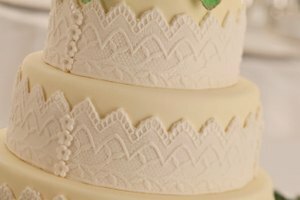 There is an easy way to get the best of decorations by mixing the two for a sweet tasting and solid-drying decoration for all of your molding needs. 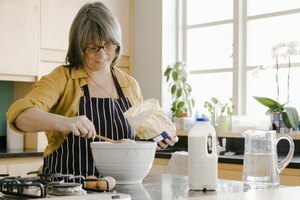 Make a mixture of equal parts cornstarch and powdered sugar then sprinkle a light dusting of the mixture over your work surface. The powder will help the gumpaste and fondant release from the work surface without sticking. Set the fondant you want to work with on top of the dusted surface then roll the fondant out into a thin, even layer. Dust your rolling pin with some of the mixed powder if you have any trouble with the fondant sticking while you roll. Lift the rolled out fondant and set it aside. Reapply the powder mixture to the work surface if there are any bare spots then put the same amount of gumpaste as you used fondant on the work surface. So if you rolled out half a pound of fondant, then use half a pound of gumpaste. Roll out the gumpaste just like you did for the fondant until you have a piece the same size as the rolled fondant. Place the rolled fondant on top of the rolled gumpaste and press them together. Roll the two pieces together so they turn into one blended piece. 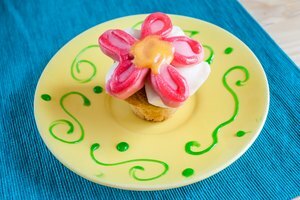 You can fold the gumpaste and fondant together and roll them out again in order to mix them properly. Proceed to cut and form the fondant just as you normally would. Keep vegetable shortening nearby while you are working. If the fondant becomes dry or brittle, rub some shortening on it to help moisten it again.